A staff nurse on the second point of her scale earns €30,802. 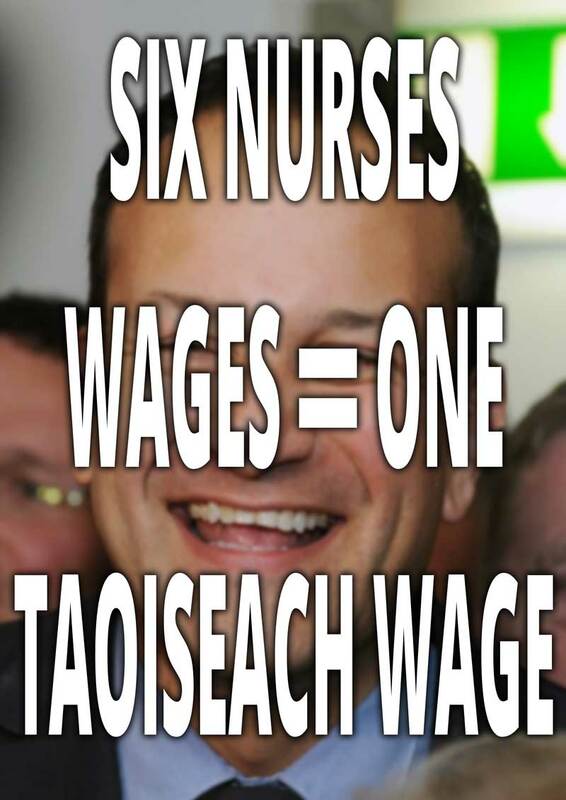 Leo Varadkar’s job as Taoiseach nets him €185,350 – the equivalent to the pay of six nurses. Yet when Varadkar was attacking the nurses’ strike he talked about ‘fairness’. The man does not know the meaning of the word. But he has form. Last Christmas, he claimed that nurses were taking time off from their duties over the holiday period. Yet while he was Minister for Health, he took two sunshine holidays in Miami and the Canary Islands while patients languished on trolleys. When People Before Profit TD, Bríd Smith pointed to the huge gap between his wages and those of nurses, Varadkar accused her of ‘populism’. This was an oblique acknowledgement that three quarters of the Irish people, back the nurses. 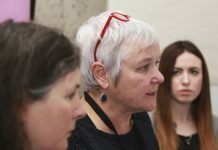 Bríd Smith was making a popular point – not a ‘populist’ argument. Upper class people like Varadkar have a deep sense of entitlement. 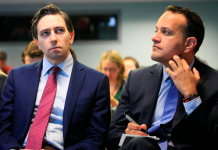 They think it perfectly reasonable to attack hard working nurses for seeking high wages –but never want anyone to question their astronomical salaries. They just think they are worth it. 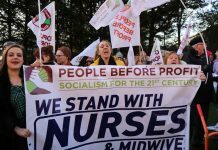 Between 2007 and 2017, 19,386 nurses left Ireland mainly because of the low pay, long hours and stressful conditions. Let’s support their fight for higher pay – and get more Irish nurses returning to staff our hospitals.